Pacific Coast Hobbies Grand Opening! Home / News / Pacific Coast Hobbies Grand Opening! Our Grand Opening was a huge success! PCH had Professional Remote Control drivers from Team Losi come out for an autograph session and race the new Team Losi Mini-T’s. Weston Zellmer, owner of Combat wings came out to show off the 90+ Remote Control planes. Serving hot dogs and refreshments all day to guests and giving away over 100 raffle prizes, including Team Losi Mini-T’s, Combat flying wings, a Miss Budweiser Remote Control Boat, a Nitro powered remote control Monster Truck, and much more. 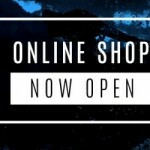 “This store has always been a dream for me, and it has now come true. 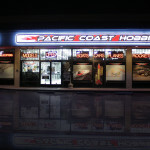 We opened Pacific Coast Hobbies in April and it has been a huge success. Our goal for the next year is to open my own remote control race track park.” PCH carries a large variety of R/C Cars, Planes, and Boats. We also carry a variety of models, science kits, rockets, pinewood derby and toys.You can find us online at www.pchobbies.com or on eBay (userid: pchobbies). If you don’t have what you want, we can order it and have it in the store in less then two days. Frankie’s Race Shop, located in the back of the store, is setup to bring your own projects in to work on with the help of professional advice. Or you can leave it with here for professional service and repairs.